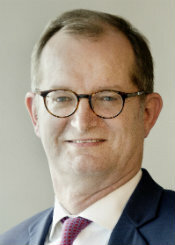 Roland Boekhout was born in 1963 and studied Business Administration at the Erasmus University in Rotterdam, the Netherlands, before going on to complete CEDEP’s General Management Programme at INSEAD in Fontainebleau, France. He began his professional career in 1988 at Unilever in the Netherlands. In 1991 he joined the ING Group as Senior Credit Analyst at ING Bank. After working for the group in New York, Warsaw, Mexico and the Netherlands, he was appointed CEO of ING Commercial Banking Central and Eastern Europe in 2008. 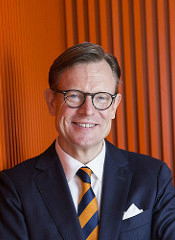 Since 1 October 2010, Roland Boekhout has been Chairman of the Management Board of ING-DiBa in Germany. He is on the Board of Directors of the Association of German Banks and of the German-Dutch Chamber of Commerce. He also serves on the Board of Directors of the American Chamber of Commerce in Germany e.V., the Board of Trustees of the House of Finance at Goethe University Frankfurt and the Executive Committee of Frankfurt Main Finance e.V. Sir Christopher Clark, who was born in Sydney in 1960, is Professor of Modern European History at St Catherine’s College in Cambridge. His academic focus is on the history of Prussia. He is the author of a biography of Wilhelm II, the last German Kaiser. For his book “Iron Kingdom: The Rise and Downfall of Prussia, 1600-1947” he won the prestigious Wolfson History Prize in 2007, and in 2010 the German version, “Preußen. Aufstieg und Niedergang 1600-1947”, made him the first foreigner to be awarded the German Historians’ Prize. His last book, “The Sleepwalkers: How Europe Went to War in 1914”, published in Germany in 2013 under the title “Die Schlafwandler: Wie Europa in den Ersten Weltkrieg zog”, topped the German non-fiction bestseller lists for several weeks and was an international success. 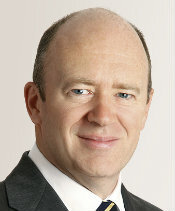 John Cryan is Deutsche Bank’s Chief Executive Officer. From 1 July 2015 to 19 May 2016 inclusive he performed this function as Co-Chief Executive Officer alongside Jürgen Fitschen. John Cryan became a member of Deutsche Bank’s Supervisory Board in 2013. He served as Chairman of the Audit Committee and a member of the Risk Committee. Upon becoming Co-CEO, he stepped down from the Supervisory Board. From 2012 to 2014 John Cryan was President for Europe at Temasek Holdings Pte. Ltd., the sovereign wealth fund of Singapore. From 2008 to 2011, he was Group Chief Financial Officer of UBS AG, having previously worked from 1987 in corporate finance and client advisory roles at UBS and SG Warburg in London, Munich and Zurich. John Cryan began his career as a trainee chartered accountant at Arthur Andersen in London. He is a graduate of the University of Cambridge. 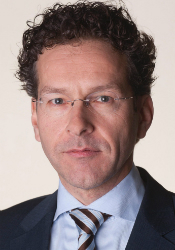 Jeroen Dijsselbloem was born in Eindhoven in 1966. He graduated with a degree in agricultural economics from the Wageningen University (1991). Mr. Dijsselbloem has been a member of the Dutch Labour Party (PvdA) since 1985. He worked for the PvdA in Brussels and in The Hague (1992-1996). From 1996 to 2000 he held positions in the Ministry of Agriculture, Nature Management and Fisheries. Mr. Dijsselbloem was a member of the House of Representatives from 2000 until 2012. He was the party’s spokesperson on youth care, appropriate education and special education, policy on teachers, and the Education Inspectorate. From 2007 to 2008 he chaired the parliamentary investigation committee on educational reform. On 5 November 2012 Mr. Dijsselbloem was appointed Minister of Finance in the Rutte-Asscher government and became caretaker Finance Minister as of the general elections in the Netherlands on 15 March 2017. Following these elections, he became a member of the House of Representatives from 23 March 2017. On 21 January 2013, the Eurogroup appointed Mr. Dijsselbloem as its President. On 11 February 2013, the Board of Governors of the European Stability Mechanism (ESM) elected Mr. Dijsselbloem as its Chairman. 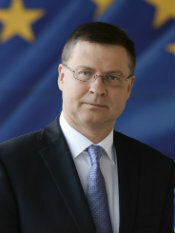 Valdis Dombrovskis, born on 5 August 1971 in Riga, is the Vice-President of the European Commission responsible for the Euro and Social Dialogue, also in charge of Financial Stability, Financial Services and the Capital Markets Union. Prior to that, he served three consecutive terms as Prime Minister of Latvia, becoming the longest serving elected head of government in Latvia’s history. Before becoming European Commission Vice-President, Valdis Dombrovskis was elected for the second time as a Member of the European Parliament (first, 2004-2009) and Head of the Latvian Delegation in the EPP Group. He served as a Member of the Saeima (Parliament) of Latvia (March 2004- June 2004; January 2014 June 2014) and was Latvia’s Minister of Finance from 2002 to 2004. In November 2014, Valdis Dombrovskis was awarded the Order of the Three Stars (Triju Zvaigžņu ordenis), the highest State Decoration of the Republic of Latvia. Valdis Dombrovskis graduated with a degree in physics from the University of Latvia (1993) and economics from Riga University of Technology (1995). He received his master’s degree in physics in 1995 from the University of Latvia. In 1995 -1998, he worked as a research assistant at Mainz University, Germany, at the Institute of Solid-State Physics in Latvia and at the University of Maryland (USA). Prior to joining politics, he worked as a senior economist and chief economist at the Bank of Latvia (1998-2002). 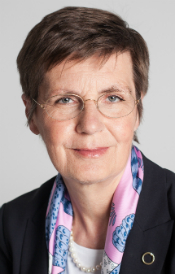 Dr Elke König is Chair of the SRB, being responsible for the management of the organisation, the work of the Board, the budget, all staff, and the Executive and Plenary sessions of the Board. The General Counsel, the Policy Coordination and International Relations Unit, the Communications office and the Internal Audit function report directly to her. She was President of the German Federal Financial Supervisory Authority (Bundesanstalt für Finanzdienstleistungsaufsicht, BaFin) from 2012 until 2015. After qualifying in business administration and obtaining a doctorate, Dr König spent many years working for companies in the financial and insurance sector. From 1980 to 1990, she worked for KPMG Deutsche Treuhandgesellschaft in Cologne, auditing and advising insurance undertakings, from 1986 as a holder of a special statutory authority (Prokuristin) and from 1988 as a director and partner. 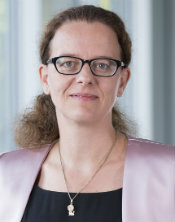 From 1990 to 2002, Dr König was a member of the senior management of the Munich Re Group (Head of Accounting); she then moved to Hannover Rückversicherung AG as Chief Financial Officer. 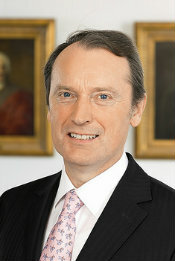 From 2010 to the end of 2011, Dr König was a member of the International Accounting Standards Board (IASB) in London. Dr König was also a representative of the Supervisory Board of the Single Supervisory Mechanism. She is Chair of the Resolution Steering Group of the Financial Stability Board. Jan Pieter Krahnen was born in Wuppertal in 1954. After completing his military service and a banking apprenticeship at BHF-Bank, he studied business administration at Goethe-Universität Frankfurt. Between 1980 and 1989 he worked first as a research assistant, then after obtaining his doctorate as a lecturer at Freie Universität Berlin. 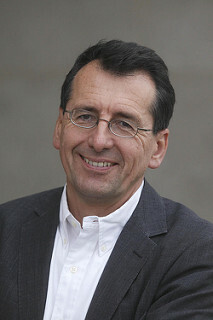 In 1995, after appointments at various universities, Krahnen accepted a professorship at Goethe-Universität Frankfurt. He became Director of the Center for Financial Studies in the same year. In the area of policy consulting, Krahnen was appointed by EU Commissioner Michel Barnier at the beginning of 2012 to the High Level Expert Group on Structural Reform of the EU Banking Sector (the “Liikanen Commission”), which issued its report in October 2012. From 2008 to 2012 he was member of the Issing Commission advising the German government on reforming the financial architecture. Krahnen has been a member of the Academic Advisory Board of the Federal Ministry of Finance since 2010 and from 2011 to 2015 was a member of the Group of Economic Advisors at the European Securities and Markets Agency (ESMA) in Paris. 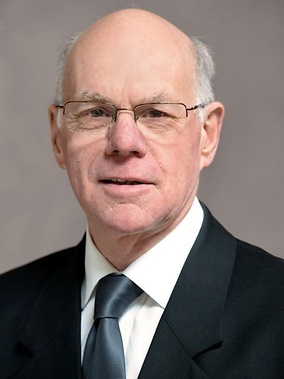 Norbert Lammert, who was born in Bochum in 1949, studied Political Science, Sociology, Modern History and Social Economics at the University of Bochum and the University of Oxford. He joined the Christian Democratic Union of Germany (CDU) in 1966 and has been a Member of the German Bundestag since 1980. In the course of his political career, Mr Lammert has served as Parliamentary State Secretary to the Federal Minister for Education and Research, to the Federal Minister for Economic Affairs and to the Federal Minister for Transport. He has been President of the German Bundestag since 2005. Friedrich Merz joined BlackRock in 2016 as Chairman of the supervisory board of BlackRock Asset Management Deutschland AG. In addition he serves as a Senior Advisor to the firm, fostering relationships with key clients, regulators and governmental bodies in Germany. In this role he closely works with the German management team. Friedrich Merz has been Partner at law firm Mayer Brown LLP since 2005, and was appointed a Senior Counsel in 2014. In addition, he is member of the supervisory board of HSBC Trinkaus & Burkhardt AG and Chairman of the board of WEPA Industrieholding SE. He also serves as Chairman of Atlantik-Brücke, a private foundation established in 1952 to develop and strengthen the ties between the US and Germany. 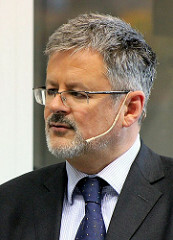 Between 1994 and 2009, he held various political roles including member of the European Parliament, member of Germany’s Federal Parliament (Bundestag), Chairman of the Christian Democratic Union (CDU) and Christian Social Union (CSU) parliamentary group from 2000 to 2002 and Deputy Chairman of the CDU/CSU parliamentary group from 1998 to 2000 and from 2002 until 2004. Friedrich Merz studied law and political science and began his career as a judge at the district court of the city of Saarbruecken in 1985. Hans-Walter Peters, who was born in Soltau in 1955, studied Economics and Statistics at the University of Dortmund and obtained his doctorate in Kiel. 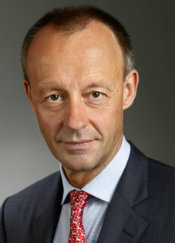 His professional career has taken him via Dresdner Bank, DG Bank and Frankfurter Volksbank to Berenberg. He was appointed Spokesman for the Managing Partners in 2009 and holds 26.1 per cent of the voting rights. Since April 2016, he has been President of the Association of German Banks. 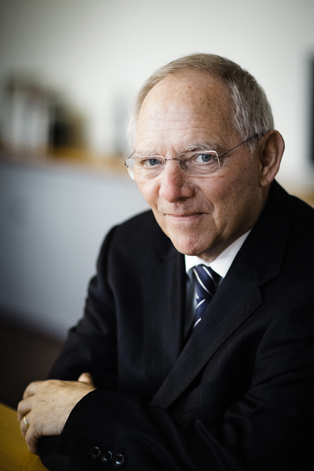 Wolfgang Schäuble was born in Freiburg in 1942 and studied law and economics at the universities of Freiburg and Hamburg. He joined the Christian Democratic Union of Germany (CDU) in 1965 and has been a Member of the German Bundestag since 1972. He has held various senior posts in the course of his political career, including Federal Minister for Special Tasks and Head of the Federal Chancellery and Federal Minister of the Interior. Since 2009, he has been Federal Minister of Finance and has been a member of the CDU Presidium since 2000. Isabel Schnabel was born in Dortmund on 9 August 1971. She studied economics in Mannheim and spent several periods abroad in Paris, Saint Petersburg, London and the US (including at Harvard University and the IMF). After obtaining her doctorate from the University of Mannheim, she worked for the Max Planck Institute for Research on Collective Goods in Bonn, where she is now a research affiliate. From 2007 to 2015 she was Professor of Economics, specialising in Financial Economics, at Johannes Gutenberg University Mainz. In 2014 she became a member of the German Council of Economic Experts and is also on the Advisory Board and Administrative Council of the German Federal Financial Supervisory Authority (BaFin) and the Advisory Scientific Committee of the European Systemic Risk Board (ESRB). Since 2015 she has taught and been engaged in research as Professor of Financial Economics at the University of Bonn. The main focus of her research is on financial stability, banking regulation and international capital flows. Jens Weidmann was born in Solingen in 1968 and studied economics in Aix-en-Provence and Bonn, where he also received his doctorate. He worked for the International Monetary Fund in Washington D.C. and was Secretary General of the German Council of Economic Experts. After an initial period at Deutsche Bundesbank, he was appointed Head of the Department for Economic and Fiscal Policy at the Federal Chancellor’s Office. 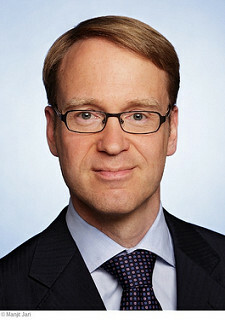 Since 2011, Jens Weidmann has been President of Deutsche Bundesbank and a member of the Governing Council of the ECB. On November 1, 2015, he was appointed Chairman of the Board of Directors of the Bank for International Settlements. Martin Zielke, born on January 17th, 1963, started his career with a banking apprenticeship and received his master’s degree in business administration from University of Göttingen in 1990. After having worked at Dresdner Bank and Deutsche Bank, he joined Commerzbank in 2002, where he was initially responsible for the private clients and later for the corporate banking businesses as the Group Head. In 2006 he became a Management Board member and the Chief Financial Officer of Eurohypo AG, and went back to Commerzbank AG in 2008. After two years as Divisional Head of Group Finance, he was appointed as a Member of the Board of Managing Directors for the Private Clients segment and has been Chairman of the Board since May 2016. Mr. Zielke is married and has two daughters. 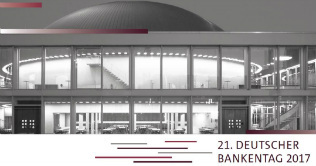 Please find the programme of the 21st German Banking Congress 2017 from 5 to 6 April 2017 in the bcc Berlin here. 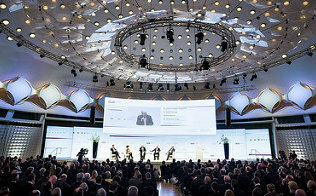 Please find the complete documentation of the 21 German Banking congress 2017 in German here.